Flag and Banner has a wide variety of home and garden banners for your home. 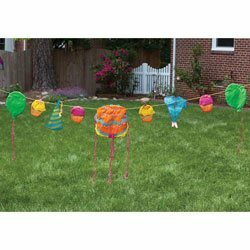 Browse our selection of garden decor flags, Holiday flags, and seasonal flags for your house and garden. We also have a great selection of Windsocks. Now that you have the right flag, don't forget your pole! Now that you have the right flag pole, keep it in working order with new hardware and accessories! 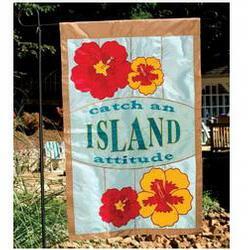 Garden banners and garden flags are a great way to display your personality and add color to your yard, porch or garden. Decorative flags are available for every season and holiday plus everyday themes or specific military themes and patriotic designs. Garden banners are typically the larger size banners measuring somewhere between 27" - 32" wide and 37" - 54" long. Garden banners are sometimes called decorative flags, house flags, and estate flags. Garden banners are most commonly displayed off of a flag pole and bracket that has been screwed into the owner's home but can be displayed in other ways as well. Garden flags are just like a banner but in a smaller size and generally FlagandBanner.com offers both the large and the small version of our garden flags and banners. Garden flags are sometimes called mini flags and can measure anywhere between 11" - 15" in width and 15" - 18" in length. These smaller flags are most commonly displayed on a garden flag pole in the owner's yard or garden, we sell ground stakes especially for both the large and the small banners or flags. Like banners, there are other methods to display these cute mini flags. If your space is limited, it is important to measure the area you intend to display your flag prior to making a purchase. When taking your measurements, make sure to account for the pole or display unit that you have in mind to show your flag. The measurements you take should make it very easy to determine if you have the room for a large flag or a small one. All of FlagandBanner.com's product descriptions for flags list the dimensions of each flag or banner so you can make the best possible choice before ordering. There are a wide variety of ways to display your banner or flag from Flagandbanner.com. 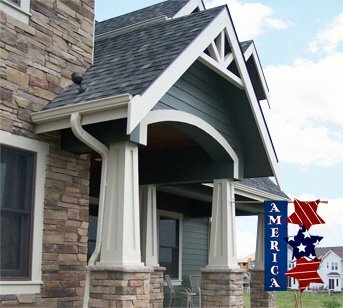 Some prefer a garden stake style flag display, some a banner/flag pole mounted to their porch or home, others may want to hang the banner from a fence or the eaves of their home. With over 35 years experience, FlagAndBanner.com is one of America's most innovative producers of high quality, environmental graphics and soft signage. We can execute even the most complex, mixed-media designs using virtually any combination of materials, and we are one of the few companies that can create banners at competitive prices and do so in-house AND fast! Our in-house facilities also gives us the flexibility to do any job, large or small. From American flags to way-finding signage, we do it all. For more information on custom printed banners call one of our Creative Consultants at 1.800.445.0653 or email us at sales@FlagAndBanner.com for help.